The Thrill Of The Wild: Should Your Pets Be Rare? Over at Eyes of the Beast Bendak has been doing a great series simply called Pet of the Week. I've had lots of fun with it. Sometimes he'll post about a pet I have and I can go into nostalgia mode, remembering taming it and how long I had to camp/search. And sometimes he'll post about one I haven't even thought about before, which is great inspiration to get out into the world and search for new animal friends. One thing it's been making me think about lately, however, is rare vs. common pets. I think there's a sort of pride among hunters at having the rarest pets. 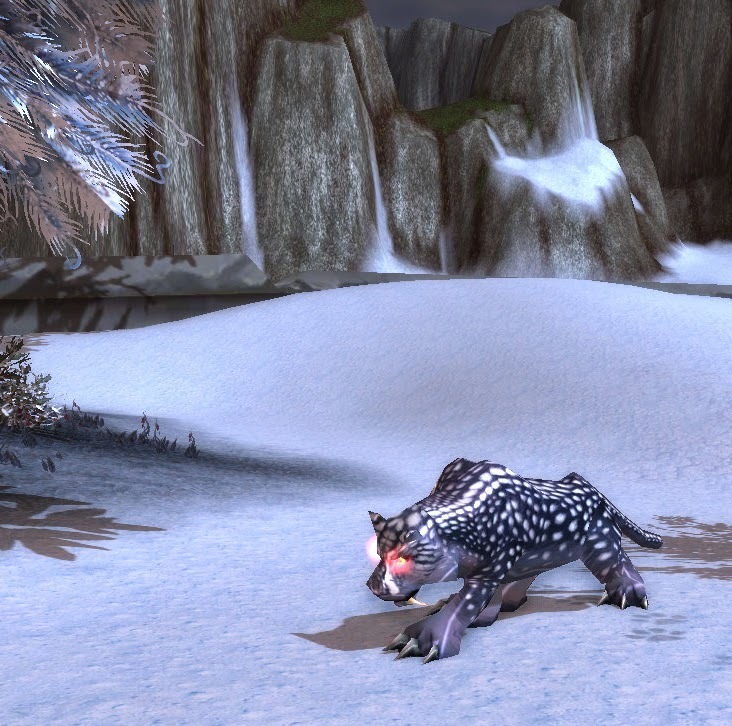 And it's not just rares as in silver name plates, you've also got to have the rare pet that other hunters don't have. It's about having that unique skin that no one else uses. I remember taming Quetzl who I just ran into randomly while questing in Winterspring. I hadn't used him much, but then last tier when we had that spirit Wind Serpent as part of our set bonus (you remember the one that would target who knows what and start firing for no apparent reason), I decided to get him out, and I found he wasn't rare enough to be coveted by other hunters, and since he was and is the only wind serpent with that skin, it meant I had a really unique pet. However, there are several pets/skins, that I think are just amazing looking, but no one seems to use them because (I think) they're so common. One of my favorites is the Ember Worg in the Burning Steps. I don't know what it is but I just think this is a beautiful wolf. I love his red and white fur, as though she's made out of a sunset; or perhaps so she can blend into the sunset then rip out your jugular veins without you ever seeing her. Then there's the Offspring of Har'koa up north in Zul'Drak. 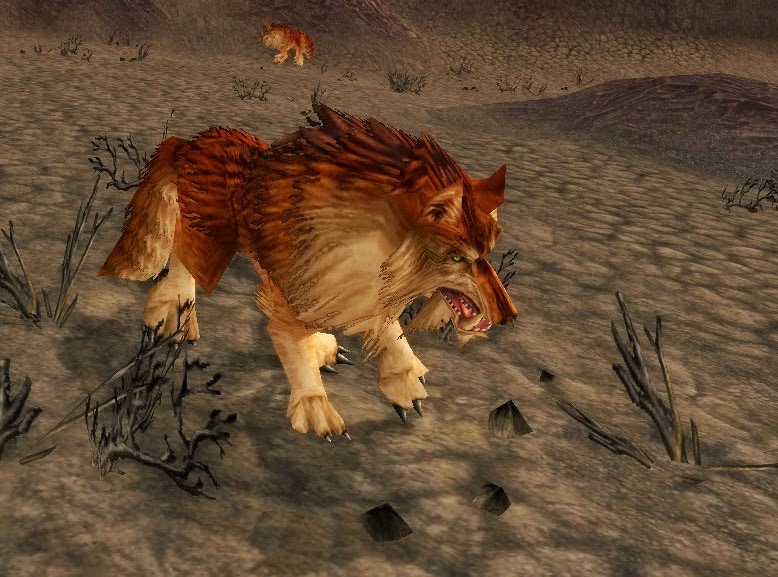 I get it, Loque'nahak is every hunters dream cat. There is no question that Loque is amazing. But these cat's are gorgeous! Don't you just want to gaze into her eyes forever? Plus, I saved so many of Har'koa's children when levelling, and she said she'd never forget, so surely she won't mind if I tame just one of them. So how about it, any common, normal pets that you just love? Any you were amazed that such a beautiful creature wasn't rare?